Best Quality AND Best Price ! 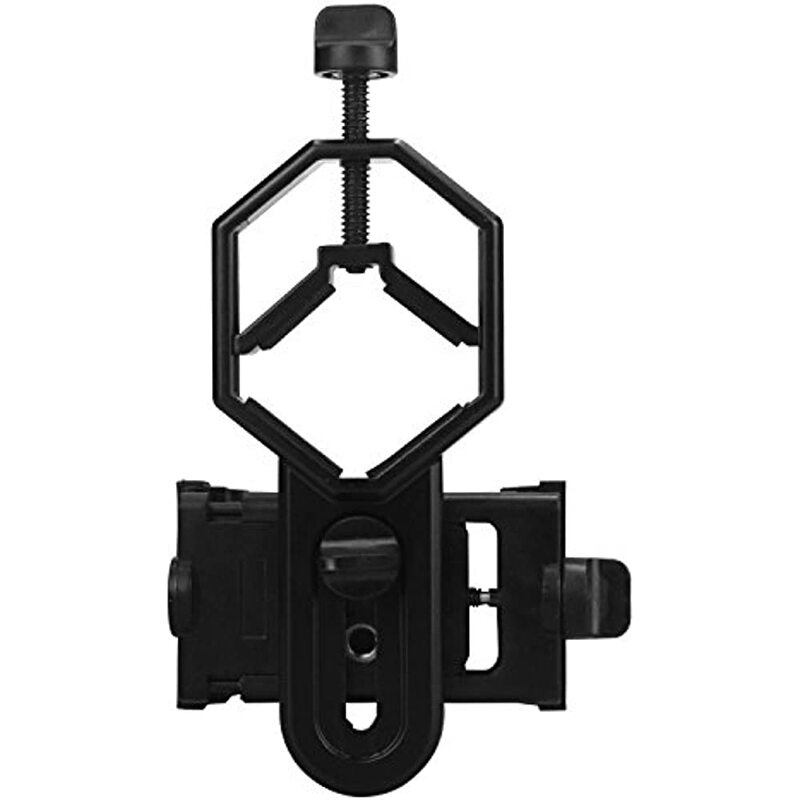 The most solid digiscoping adapter kit on the market to allow the connection of your smart phone to your favorite scoping instrument with an eyepiece. 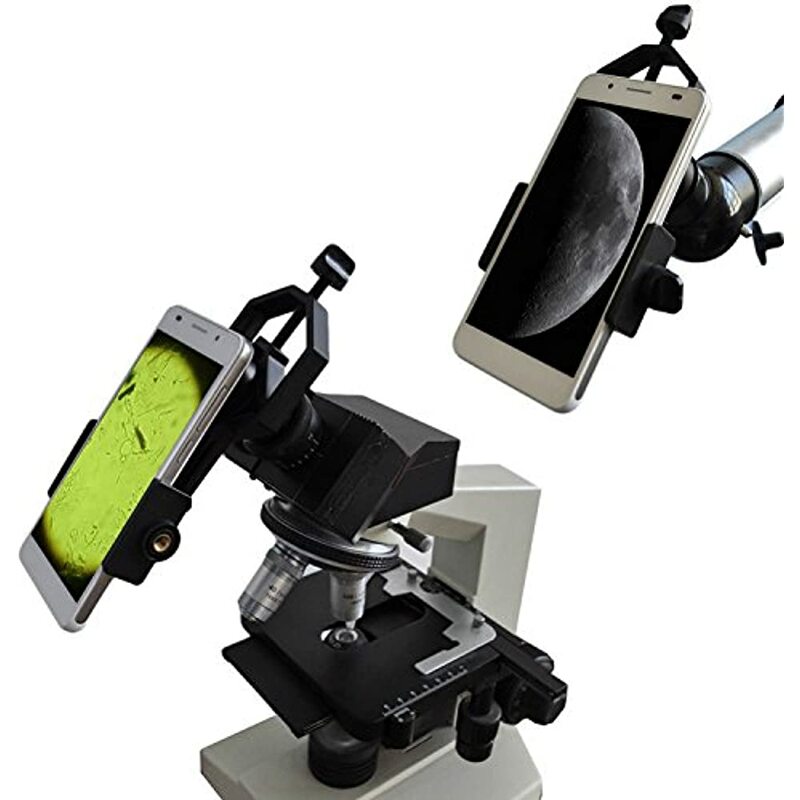 Telescope, monoscope, monoculuar spotting scope, telescope, microscope, certain binocular models. Capture your amazing sights forever on your smartphone or mobile device. 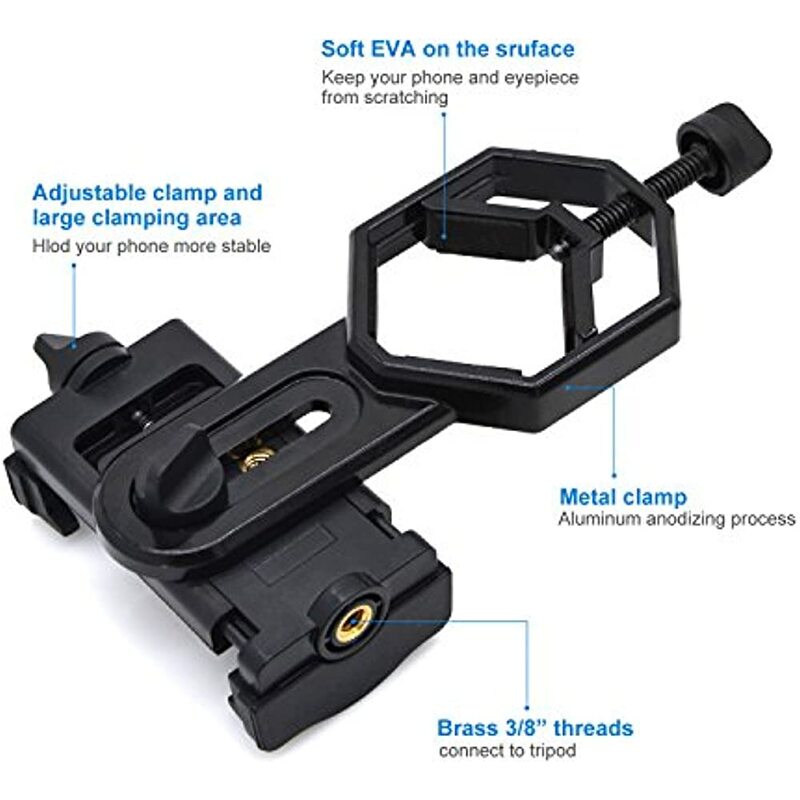 Fits Smart Phones/Devices from 2 1/8" - 3 7/8", This means you can use anything from iPhone all series, Samsung all Series,LG all series and other bands smartphone screen size from 3.5" to 6.0"
Durable metal materials: Mainly made of Aluminum. Part made of high strength PA plastic. One time purchase for long-term use. Phone is well protected by high density EVA pads and nothing contacts your phone's screen. If you are a person hunting,camera,photography,take sight of each moment,then it is reall suitable for you. Dimension: 2.1 x 6.2 x 3.9 inchs., Weight: 0.3lbs. -Please kindly check if you can do the payment via PayPal before placing an order. as that will allow us to post your item to you sooner! International buyers please note: Import duties, taxes, and charges aren't included in the item price or postage cost. These charges are the buyer's responsibility. If you have any problem with your order, please contact us viaebay message. We usually respond within 24 hours on weekdays.and we will do our best to make you satisfied. For all returned products, buyers MUST contact us for the returning address.